The University of Michigan (U-M) Environment, Health & Safety (EHS) collects and processes the biological waste generated at U-M. 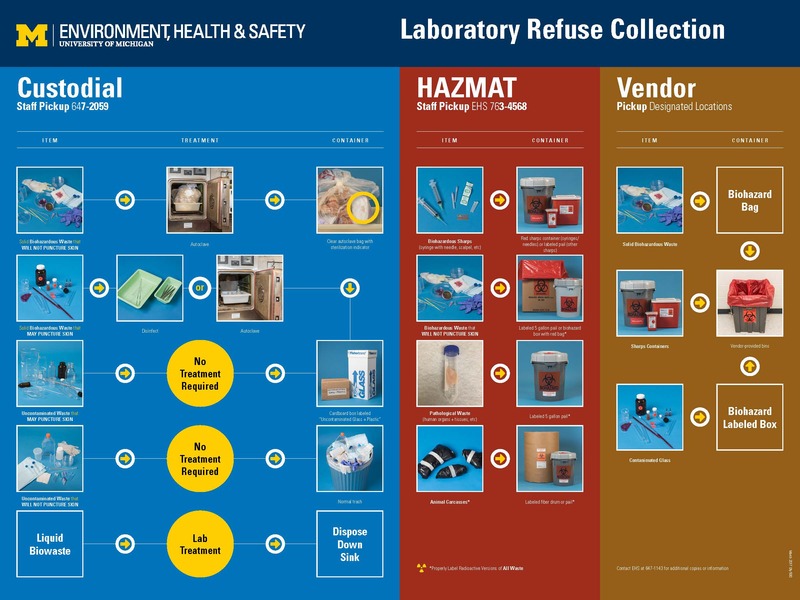 Lab directors (faculty/lab managers/supervisors) must follow the EHS protocols for proper disposal of biological waste to help reduce costs, ensure regulatory compliance, maintain a safe work place, and protect the environment. Contact EHS, Hazardous Materials Management (HMM) at (734) 763-4568 regarding these protocols.